PLEDGE CAMPAIGN FOR MONTHLY PARTNERS! WILL YOU HELP US REACH THE ONE? ** FREEDOM PARTNER- a partner who gives $5000.00 or more as a one time gift. ** VOLUNTEER- we need volunteers to help with renovations, be a prayer partner, help with bible studies, facilitators for group meetings, take to appointments, stay with residents’ night or day hours, teach them life skills, gardening, cooking, music, worship, arts, social enterprise, and so much more! Fill out volunteer application on website. Volunteer training coming soon! Gifts to the campaign can be made in a number of or combination of ways. Pledges of recurring gifts in support of our flagship projects would be encouraged, and likely essential, to meeting our needs since it would be impractical, if not impossible, to reach a goal of this magnitude with one time, out-of-pocket gifts. Non-cash gifts such as securities, real estate and personal property are also accepted and encouraged, as would deferred gifts such as life insurance policies, gifts in trust, and gifts through one’s estate. Through the generous volunteer and financial support of many – and the extraordinary support of a few – we will succeed in achieving our goals. We are also confident of our continued growth as a community pillar and in our ability to even better fulfill our mission. Thank you in advance for your support. We believe in building strong partnerships with individuals and organizations that have the same missions as we do, to end the destructive cycle of addiction and trauma and provide a safe house for those recovering and in need of life skills and opportunities. Please consider partnering with us to help fight the good fight. Our Goal is to have the resources to help families and we are looking for houses for short term and long term residential safe house programs for women and men. We do not sell, rent, or give away your information. All of the proceeds will go directly towards the recovery of women caught in homelessness, abuse,substance abuse with sexual exploitation. 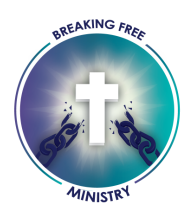 Breaking Free Ministry, Inc. is a 501c3 non-profit charitable organization.